What does your favorite coffee say about your personality. But at the end, how you make your favorite coffee, is not really that significant. More important is what kind of coffee you use for your brew. Because that is the basis of your drink. 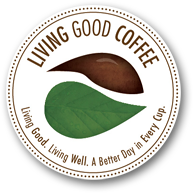 What we recommend for it is an organic Superb Antioxidant Coffee from Living Good Coffee. This coffee is exquisite and very aromatic with rich, deep taste.